Cornell’s wife, Vicky Cornell, commissioned the piece and donated it to the Museum of Pop Culture at Seattle Center, which placed it outdoors along a sidewalk. 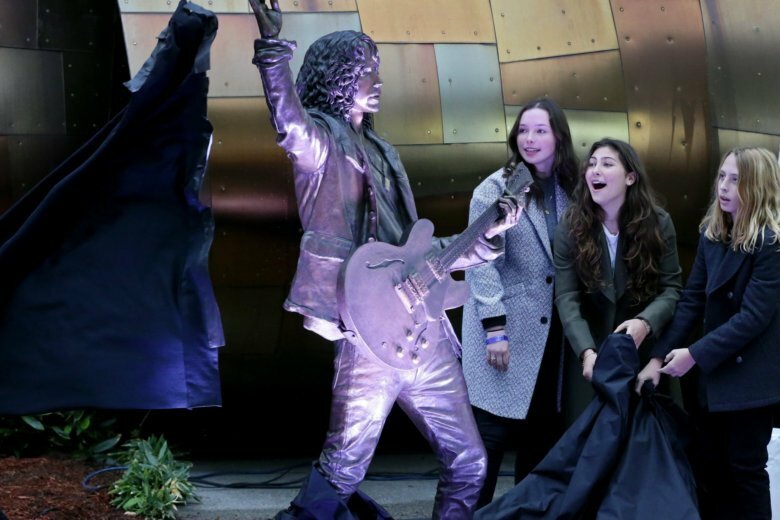 Cornell’s 18- and 14-year-old daughters and 12-year-old son unveiled the statue during a ceremony Sunday. Soundgarden members Matt Cameron, Kim Thayil and Ben Shepherd attended, as did Pearl Jam’s Jeff Ament and Seattle Mayor Jenny Durkan. Cornell died in May 2017 at 52. His death was ruled a suicide.